PLAY AS ONE OF THE CHARACTERS FROM THE SHOW! 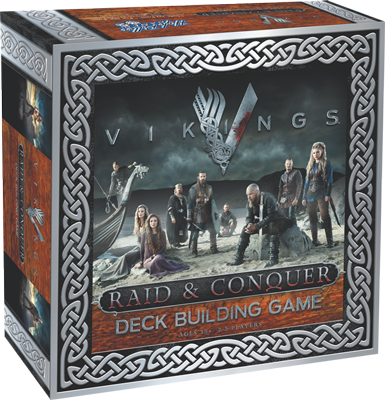 Raid & Conquer is based on the Hit TV series, VIKINGS. 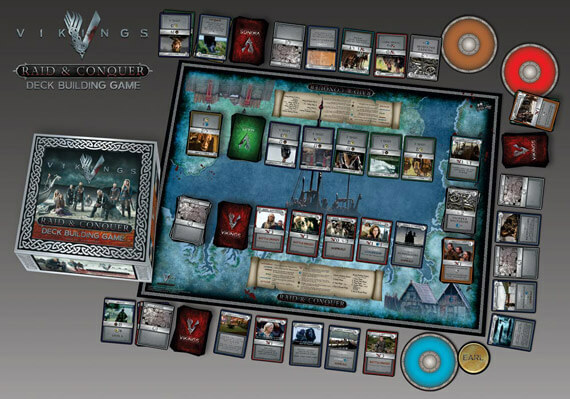 This exciting, original card game is designed to bring out the ‘Viking’ in any fan and even challenge the most skilled gamers. Relive the raids and sagas of Ragnar, Lagertha, Rollo, Floki and Bjorn. There are shaky alliances and brutal betrayals. You can battle each other or work together and travel to newly discovered lands to Pillage and Plunder. Are you willing to share the treasure when you’re in command? 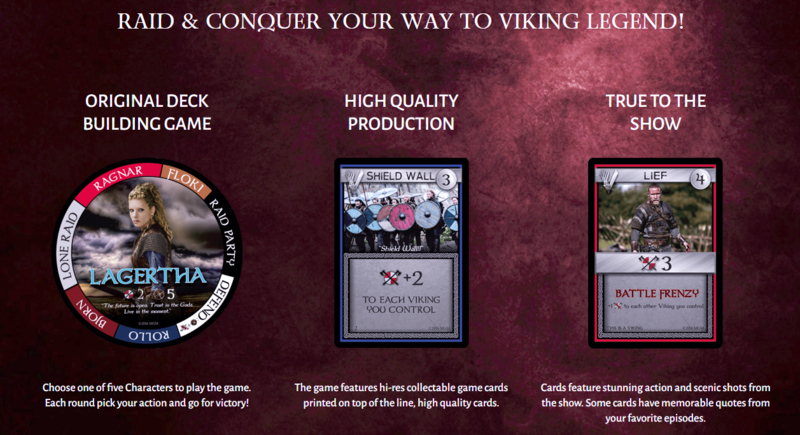 Your goal is to become the next Viking Legend. Go on Raids, attack other Characters and Bury precious items. 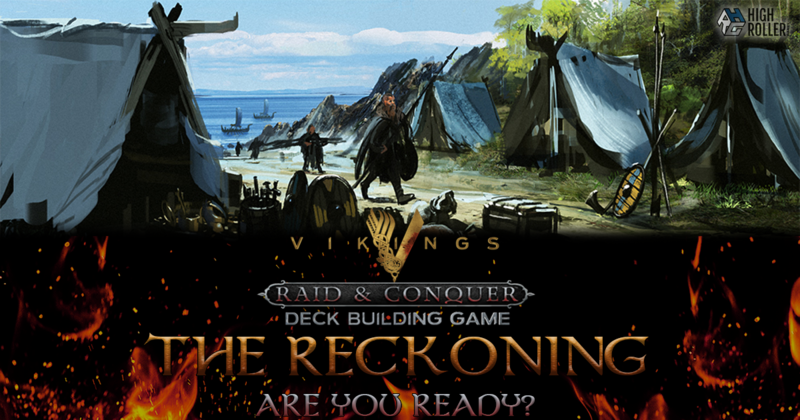 Gain the most Legend points to become Viking King and win the game! This is Season 1, Episode 1 of your VIKING adventure. 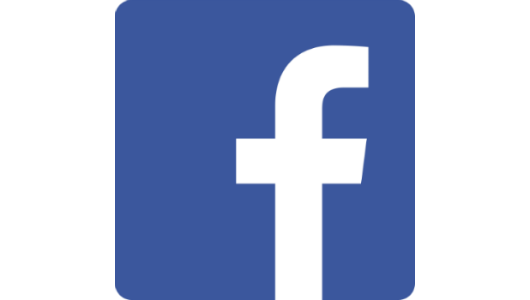 What happens next… is up to you. 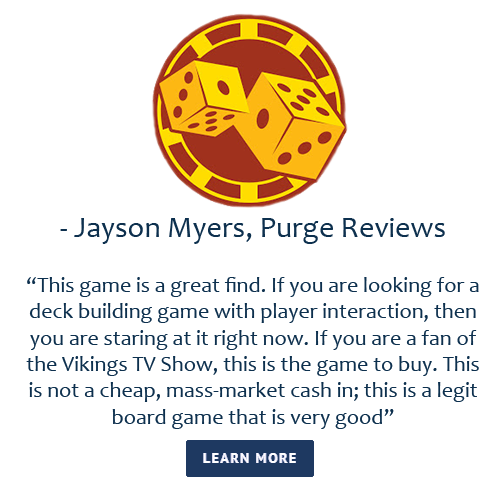 For updated Rules, Frequently Asked Questions, and a How to Play video, CLICK HERE. 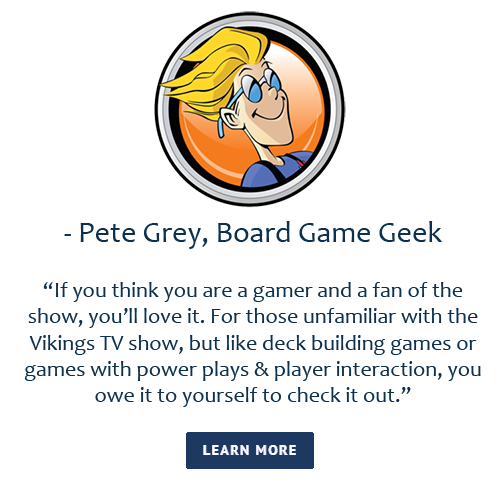 Sign up for the pre-order and get 10% off the expansion when it is released!